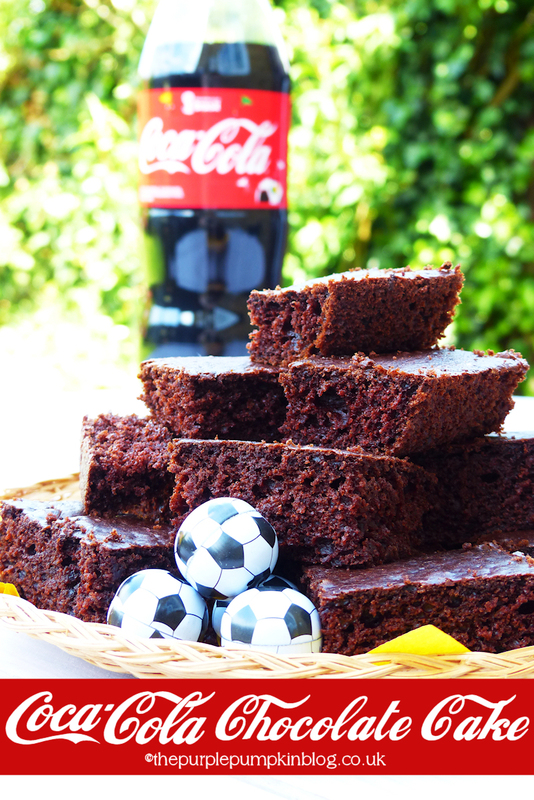 Another way to use Coca-Cola as an ingredient, this time in chocolate cake! 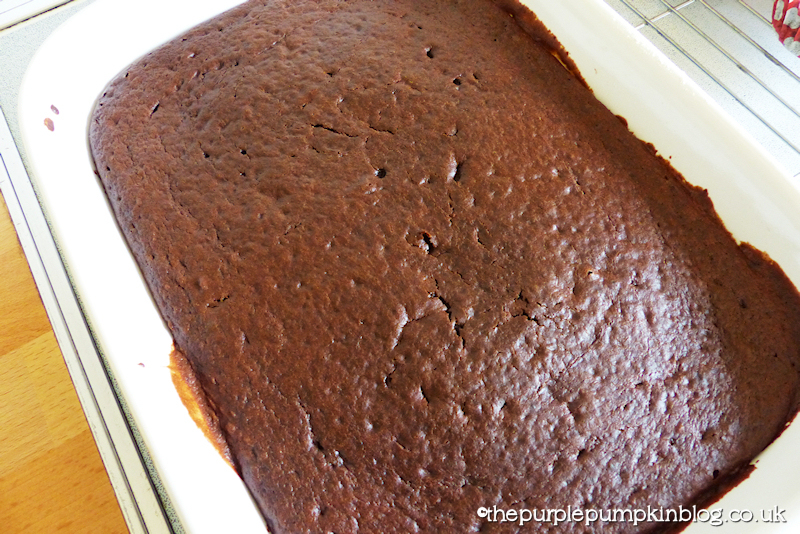 The Coke gave the cake a fluffy light texture, and it was almost gooey in the middle – I think next time I would add some chopped nuts. 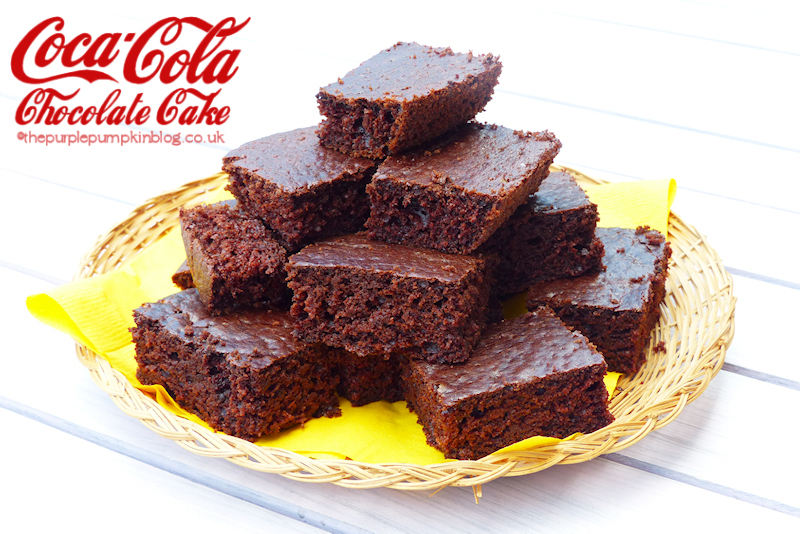 I tweaked a recipe that I found on the Coca-Cola UK website, which uses Diet Coke, and also has a chocolate topping too – but I didn’t feel that there was a need for the topping, as the cake was delicious just as it was. You have to mix some of the ingredients in separate bowls before combining together, but it was simple enough to make, and I know that it went down when I served it to family and friends at the weekend! I even turned half the batter into Cherry Coca-Cola Cupcakes! Melt the butter either in a saucepan over a gentle heat (or in a bowl in the microwave). Remove from the heat and stir in the Coke. oooh yum, that looks delicious. Coca Cola is a bit of a weakness of mine and this looks yummy!! Wow I think I’m in cake heaven! My son would love this, I will bookmark it to make soon.